This was another movie I instantly found myself eager to watch when I originally saw it advertised. Having watched the first Terminator movie and Terminator: Salvation, I at least knew what was going on with this. Considering time travelling is such a major part of the Terminator franchise, it makes sense that this movie was so much different to the others. It was good to have the opportunity to see parts of the war in the future and also have the opportunity to see John and Kyle interacting. I liked that the first part of this movie was narrated by Kyle and it was good to see how he cared for Sarah Connor long before going back in time. There were a lot of similarities to the very first movie and I noticed that there seemed to be quite a lot of footage from the original movie utilised here. Although there was probably a lot of CGI, I didn’t find it very noticeable. One of the elements I particularly enjoyed seeing was the relationship between Sarah and Pops. It was also good to see that Kyle still had his holdovers from the war… and that he didn’t trust the older Terminator, despite the evidence pointing to him protecting Sarah and looking after her. It was good to see that Kyle and Sarah had some proper interaction and that the two of them almost seemed to dislike each other for a time, rather than them falling for each other at the first opportunity. I also thought it was cool to see how the timelines had changed and that Sarah was competent and a strong character right from the start. 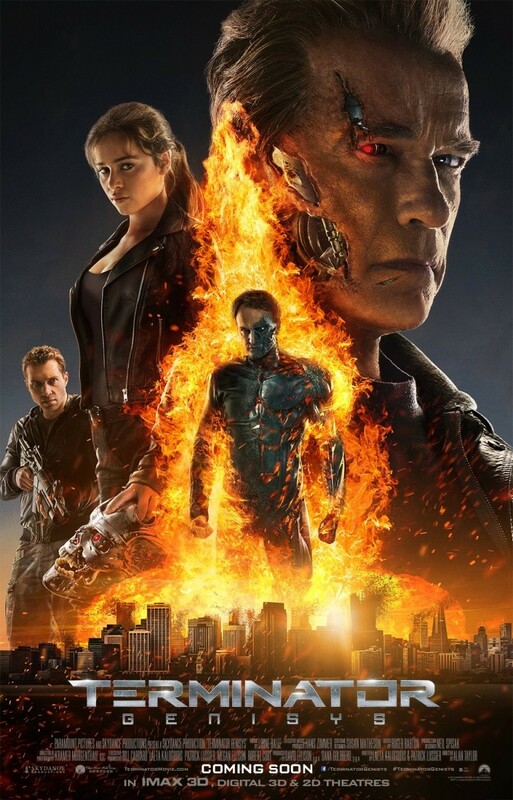 There were quite a few amusing moments in this movie, especially when it came to the older Terminator. It was amusing to see how he’d been taught how to fit in… but there were still moments where the responses he used made a tense situation much more amusing. And it was good to see there was an explanation for why he looked older. There was a lot of action in this movie and quite a number of actors I recognised, including the obvious. I enjoyed the relationships that built and that Kyle and Sarah were both well-rounded characters. There were also a lot of scenes where I found myself watching to see what would happen to the characters. I found it easy to care about them and the movie was really entertaining to watch.